Looking for Something to do in Nelson? Come down to Pro Combat at Tahunanui Beach and have a go at playing Laser Tag, Nelson's newest most exciting & fun activities!! During all school holidays, we are open 7 days a week from 11am. So when you're after something do to come to play Pro Combat laser tag, a great way to full in your day!! Monday to Friday: Open school holidays only! 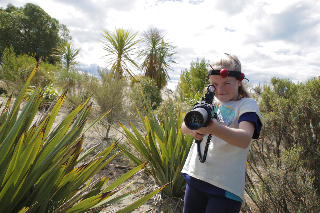 We now have 36 of the worlds best Outdoor Laser Tag Guns, Pro Combat Laser Tag is the only Laser Tag in the Top of the South located at Tahunanui Beach Nelson. Laser Tag is the outdoor version of Laser Strike and Lazer Force and also similar to Paintball but with No pain, No mess, No masks and No additional costs. 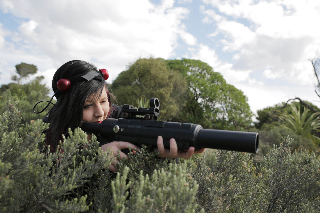 Laser Tag is perfect for all ages and both females and males alike. Game options start from 60 minutes through to 90 minutes of laser tag. Play a series of missions, each game a different mission, each purposely designed to ensure an adrenaline packed simulated combat experience! Suitable for Ages 6+. Using State of the art MP5 weapons that fire harmless infrared beams, playing is safe, painless and with no extra ammunition required, its great value for money! With a range of combat missions available, suitable for players all ages from aged 6+ its great fun for all ages! If you have a large group you are wanting to bring, feel free to contact us and we may be able to offer you a group discount. Check out our Closed Combat options. If you make a booking with us you need to be there 20 minutes beforehand. Please note: Our minimum age for laser tag is a recommendation only if you wish to book a group with younger players please contact us. Here are our per-book discounted prices. for anyone 6 years old or older. Do you want to save money? Pre-Pay Online now and you will save! !